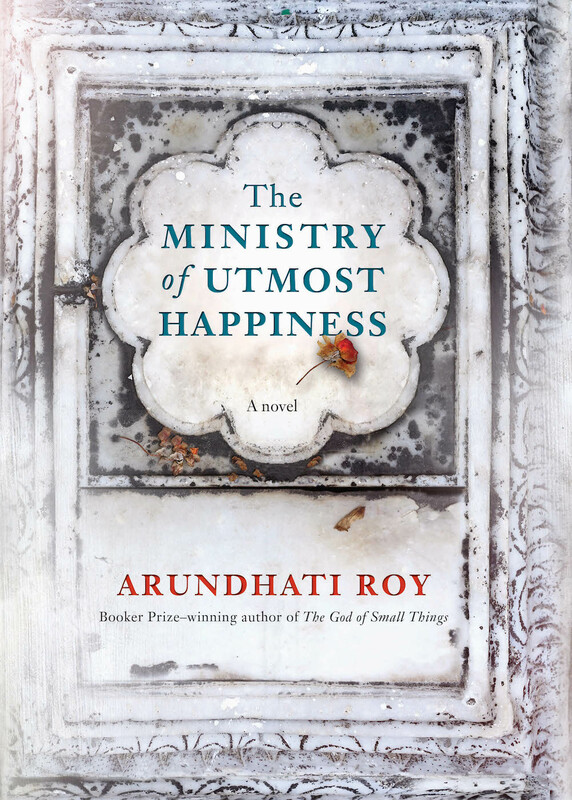 Arundhati Roy's second novel, The Ministry of Utmost Happiness will hit the stores on June 6. Here's a first look at its cover, designed by David Elridge. Arundhati Roy is among the most celebrated contemporary authors in India. Her debut novel The God of Small Things won the Man Booker Prize for Fiction in 1997. And her second work of fiction, after a long hiatus of two decades, The Ministry of Utmost Happiness will release on June 6, 2017. The publishers of the novel Penguin India unveiled the cover of the book on January 31, 2017. Designed by David Eldridge of Two Associates (who also designed the original cover of The God of Small Things), it is a poignant depiction of the beauty of decay. “One of the novel’s core settings is a graveyard, it becomes very important in the story and it speaks to many of its themes . . . .” said Elridge. “I spent some time examining the gravestone photos Arundhati sent. One, in particular, sang out at me, and that became the starting point for constructing the front cover panel,” Penguin quoted Elridge in their tweet. The author has been very vocal of the Kashmiri separatist movement, the dangers of Hindu nationalism, of the American intervention in Afghanistan, and of human rights and environmental causes. She has written about them in dozens of essays and nonfiction works over the past two decades and thus has never been really absent from the literary scene.